Herbal Dryers plays a central role in successful outdoor drying, which depends upon good weather and indeterminate weather can render a product worthless. High-temperature drying can damage the nutrient content and impart an unpleasant smell to the dried product. Herbal Dryers used for speciality crops such as dry herbs, fruits, vegetables, seeds, seafood, noodles, etc., need to be dried at low temperatures air (30 – 45oC) & low humidity (20%RH to 40%RH) for product quality optimization. This is an important consideration as they have a relatively high commercial value. Heating ambient air to use for drying, although a simple cost-effective procedure and it is the traditional method is of limited application, particularly at higher ambient air relative humidity because of the low allowable maximum temperature conditions. Under high ambient moist air conditions, it may not even be possible to dry the material by conventional means. High-temperature drying deteriorates the material structure and can render it unsuitable for further use. Low-temperature drying of speciality crops reduces the risk of loss in nutrient content and damage to physical properties. 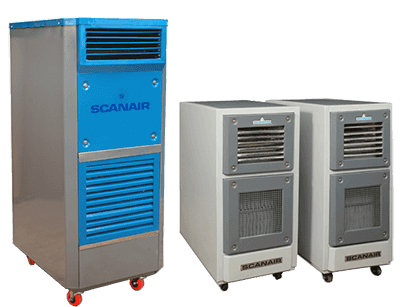 Scanair heat pump Drying system incorporating a dehumidification cycle have been developed that both conserve energy and handle the material gently. The dryer operates using a heat pump assisted solar drying system where both sensible and latent heats are recovered from the exhaust air. The heat is then recycled back through the dryer by heating the air entering the dryer. The heat pump drying system is a combination of heat pump dryer. Scanair Herbal dryer machine adopts international standard quality which is suitable for small and medium scale production. The smallest type of Herbal dryer can be operated by only one person, and this machine needs no installation, it can put into production directly when the machine is delivered. The customers can purchase one or more dryer according to your needs. Also, we offer customized dryer for them. The machine can settle the technical data of temperature and humidity in the drying process which will truly dry the materials average. Scanair heat pump dryer widely used to dry herbs, fruits, vegetables, seeds, seafood, noodles, etc.., The materials after drying have good quality and nice appearance. Also, it has less energy consumption. Compared with the traditional dryer, it can save 70 % energy and the drying capacity can improve 50%. Scanair Heat Pump Herbal dryer running cost just as 40% of oil dryer, 50% of coal burning boiler, 30% of electric boiler Heat pump dehumidification drying method of the closed cycle saving costs, no exhaust waste heat emissions, no noise pollution, environmental protection. Scanair low-temperature Herbal drying technology (15-50oC/60 oC /80 oC), similar like nature drying but faster drying time cycle adopt closed type circulating air heating and cooling, drying, suitable for inflammable and explosive materials, poisonous material. The Pungent odour of materials easily oxidized material etc. Drying process material no deformation, no cracking, no-discoloration, no deterioration, and no oxidation, thorough drying after drying and dehydration, less loss of nutrients, the long storage period, more than any conventional drying equipment to more effectively protect the color of the dried material, smell, last, individual form and active ingredients. 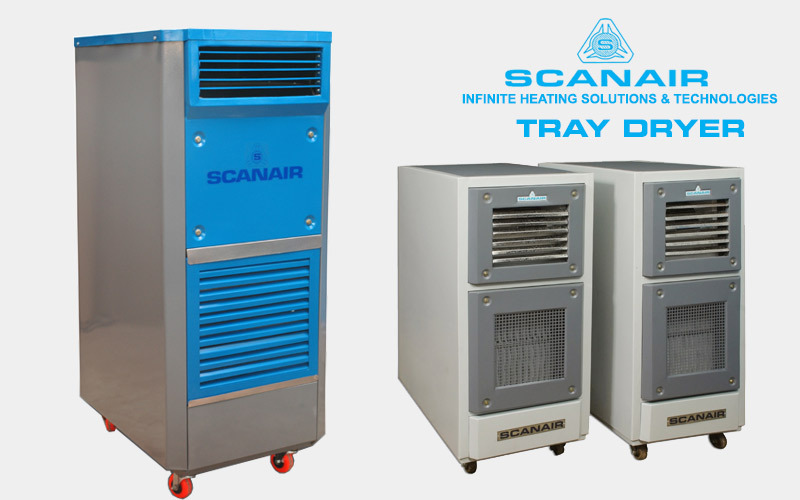 Scanair can design and fabricate drying equipment according to customers requirements like a walk in Drying Chamber, tray dryer, drying room, conveyor drying tunnel, Elevated Temperature, Cold room with humidity control, heated room with humidity control etc, Installation and operation easily, just need connecting with drying chamber plug and play.